There are lots of cool themes and things to do on Halloween, but by our book, there's a pretty extra special task that the coolest kids get to do when they dress up in costume. The truly wise, truly discerning children all know that leoparding is where it's at. Leoparding, of course, is when you're "on the prowl" for trick-or-treats. And when you're in an amazing Leopard costume! Yup! That's a fact! 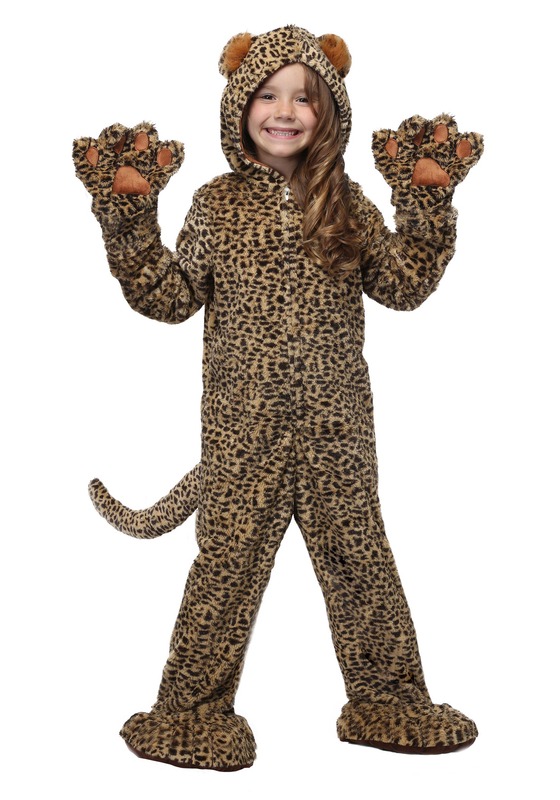 And we're sure that any boy or girl would have an extra fantastic time leoparding about for dress up day when you choose this kid's Premium Leopard Costume. Ain't nothing better than having some claws and spots to back you up! With an amazing print pattern, they'll have no trouble being a cool forest cat who's on the prowl. They can win playtime by creating a jungle in their backyard, or tackle the school play with the fierceness of a jungle jaguar who's busy making new friends! 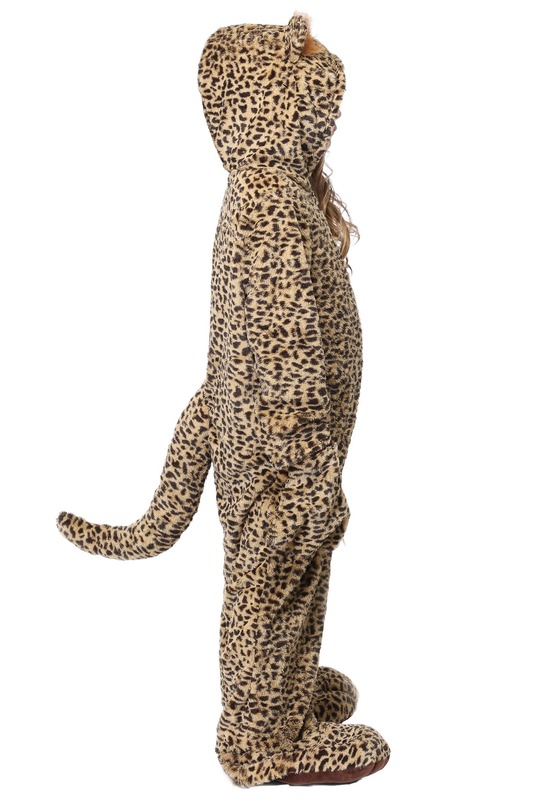 This premium costume is a step above your standard-issue cat costume. Medium pile, thick faux fur makes the suit a comfy and cozy cat body, and the realistic print makes it jungle-tastic! The oversized paws (mitts and bootcovers) make for an awesome cat effect and the plush tail just seals the deal! Just have her flip up the hood, and she'll be ready to be on the prowl too. 100 percent polyester, this jumpsuit will have her taking on the jungle. Rawr. Scratch that. Double Rawr! !